An easy and affordable way to communicate important messages to your Jurors – WORRY FREE! DO YOU NEED HELP INCREASING JUROR ATTENDANCE? Juror Calling is made specifically for court clerks. It is an easy and affordable way to take away the confusion of miscommunication and communicates important messages in a timely fashion. 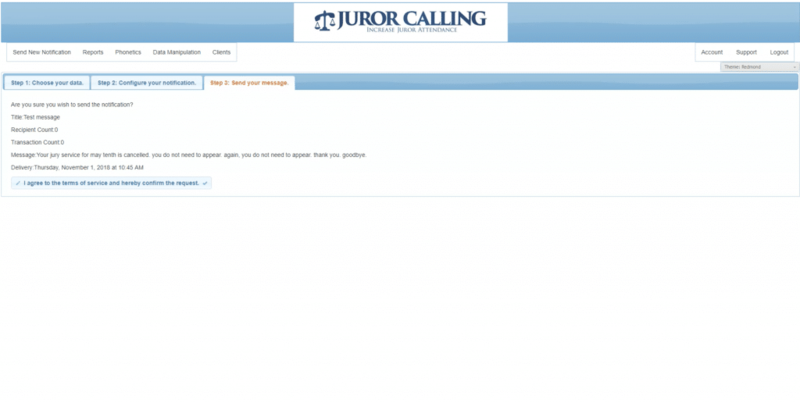 How does Juror Calling’s Software work? The Juror Notification Software can call, text, and email your jurors. This web-based system is able to notify your jurors of cancellations, changed court times, and send reminders of upcoming court dates and times. Indispensable for last minute notification of bad weather, trial cancellation, dismissal, and rescheduling. Detailed reporting is provided showing the progress of each voice messages, email and text messages. Jurors receive timely notifications and reminders. Judges marvel at the numbers of jurors that arrive for trials and court clerks rave about the convenience. Messages go out within minutes after you launch the notification. Messages can be scheduled for a later time or day, ensuring that everyone gets the same message. 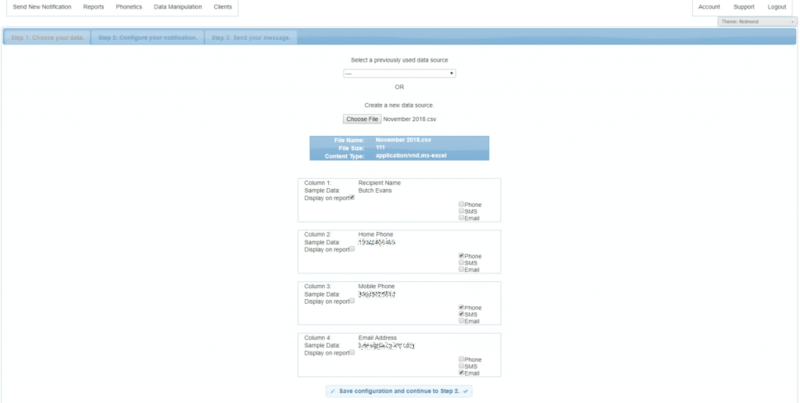 Easily integrates with your current juror management system. This is not a juror management software, but a juror notification software only. Access everything remotely online! Nothing to download or install. NO CONTRACT! NO COMMITMENT! NO SALES PITCHING! 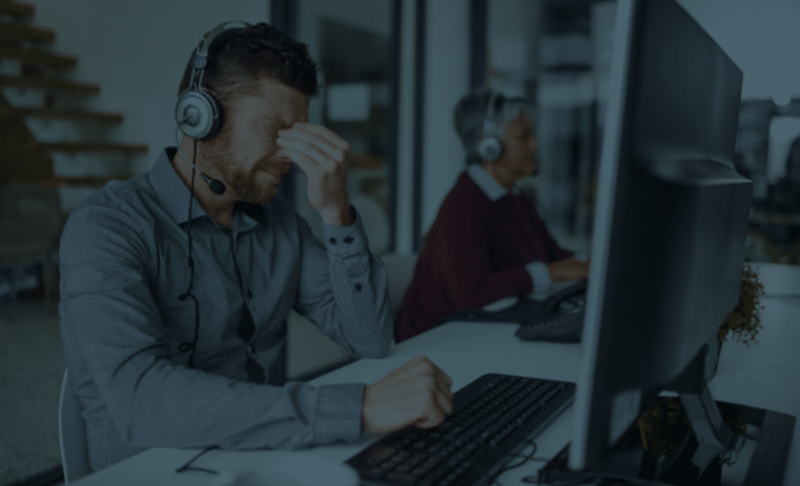 Request a one-on-one with our Juror Notification Software trainer to see for yourself how easy notifying your jurors can be! Submit below with your requested date and time. We are available to do demos Monday-Friday between 9AM and 4PM EST. 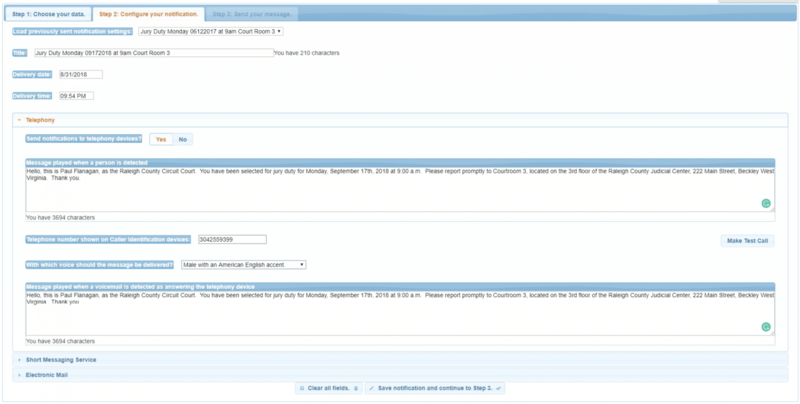 View the Juror Notification Software! NOT READY FOR A FREE DEMO YET? If you still have more questions, please click Learn More and view our FAQ page. Copyright © 2018 Juror Calling. Design by Jim Strawn & Company.